There has been understandable confusion for decades about the overlap and differences between Colosseum's second UK album and their second US album. 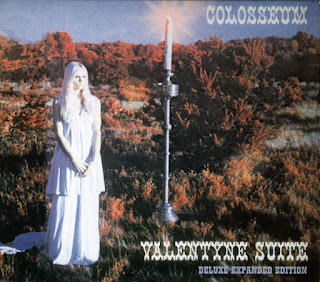 Their second UK LP was titled Valentyne Suite; their second US album, however, was not only given a different title, The Grass Is Greener, but featured a substantially different track listing, with only four of the eight tracks overlapping with Valentyne Suite (although the version of "The Grass Is Greener" on the US release has a guitar overdub by Clem Clempson, the original part by James Litherland getting lost in the process). 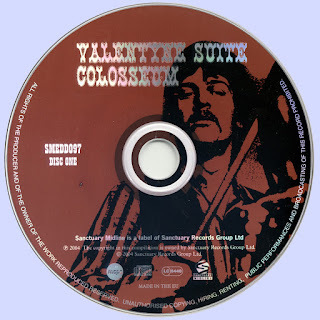 The variance can partially be traced back to the US version of Colosseum's debut Those Who Are About to Die Salute You, which included three tracks yet to be issued in the UK, including the first two (but not the third) of the sections comprising "The Valentyne Suite." It's enough of a mess to instigate a booming headache among those trying to assemble Colosseum's complete early output. This deluxe expanded edition of Valentyne Suite, thankfully, completely sorts out this hassle for the CD era. With the sort of logic too uncommon in the record industry, it places the whole of the UK Valentyne Suite album on disc one, and the whole of the US The Grass Is Greener album on disc two, as well as adding a couple of tracks recorded for BBC radio in November 1969. That does mean that four of the tracks are heard twice, and that only the third part of "The Valentyne Suite" ("The Grass Is Greener") is heard on The Grass Is Greener, since the first two parts had already been issued in the US as part of the altered version of Those Who Are About to Die Salute You. But the redundancy is forgivable, considering this finally allows listener to hear all of the band's studio material from this era in the same place, with lengthy liner notes that explain the discographical tangle as well as possible. Not to be overlooked, of course, should be the music, which in both albums found the band expanding their rock-blues-jazz format in interesting directions that encompassed more improvisation and a richer range of melodic colors, though the songs sometimes could have used some editing. 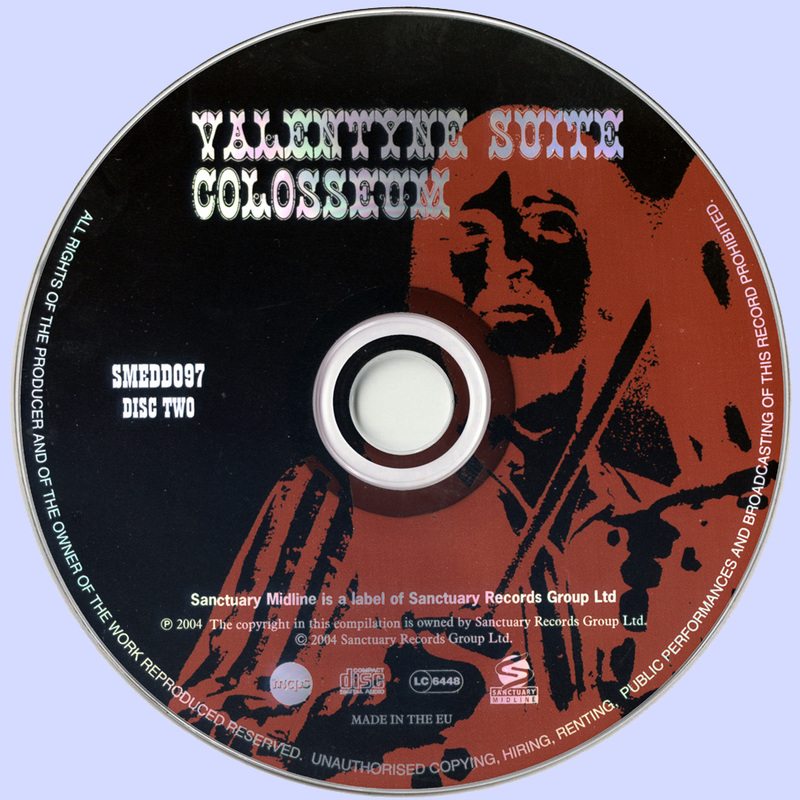 Especially satisfying was the deft insertion of some classical influences from time to time, particularly in parts of the 17-minute "The Valentyne Suite." "The Kettle" was as close as the band got to catchy blues-rock-pop, and the jazzier "Elegy" (in which the vocals almost sound like a foreshadowing of Sting) was also one of their best songs. 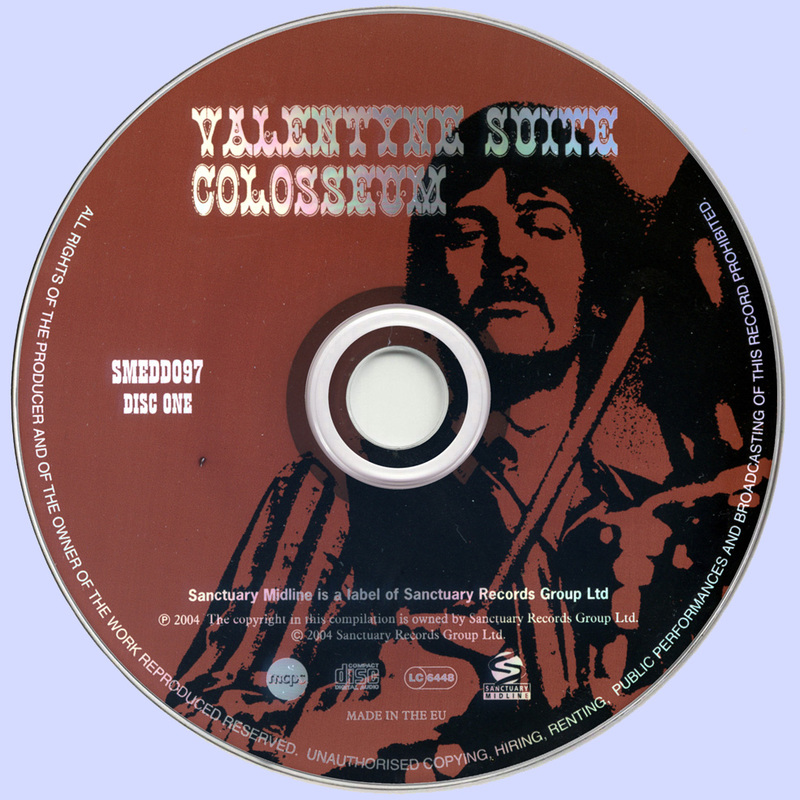 Both "The Kettle" and "Elegy" were placed on both Valentyne Suite and The Grass Is Greener, but the songs unique to the The Grass Is Greener (all recorded, unlike the rest of the studio material here, with new guitarist Clem Clempson replacing James Litherland) aren't filler. Of these, "Jumping Off the Sun" in particular got Colosseum more in the swing of hard-charging psychedelic-pop-influenced rock than anything else they did, while "Rope Ladder to the Moon" was a cover of a quality song from Jack Bruce's debut solo album, and Ravel's "Bolero" gave them a chance to plunge further into classical material. Finally, disc one adds the aforementioned two November 1969 BBC tracks, including a version of "Lost Angeles" (from The Grass Is Greener) and the fusion instrumental "Arthur's Mustache," which didn't find a place on either of the two albums.